Three women and four children stand in front of a large water powered grist mill with a thatched roof. 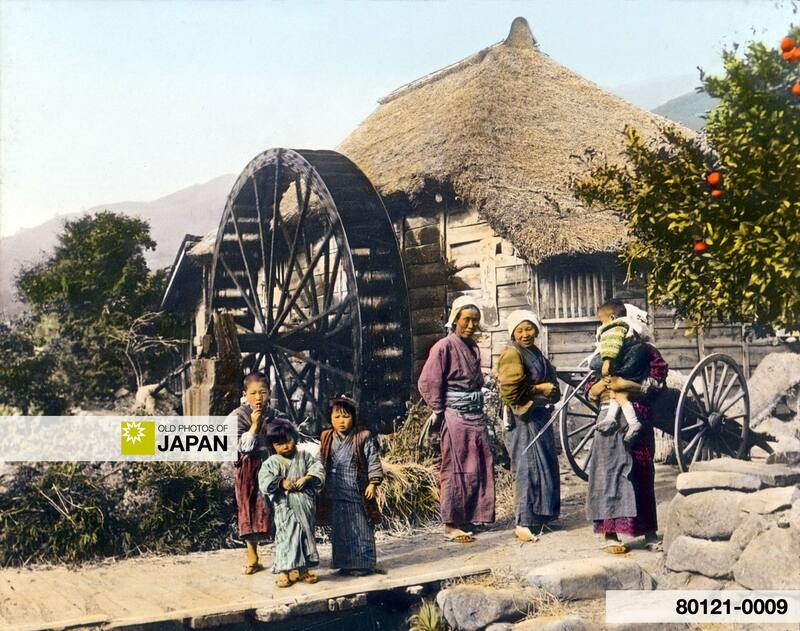 Water powered mills of all sizes were extremely common in Japan, a mountainous country blessed with much rainfall. You can also licence this image online: 80121-0009 @ MeijiShowa.com.